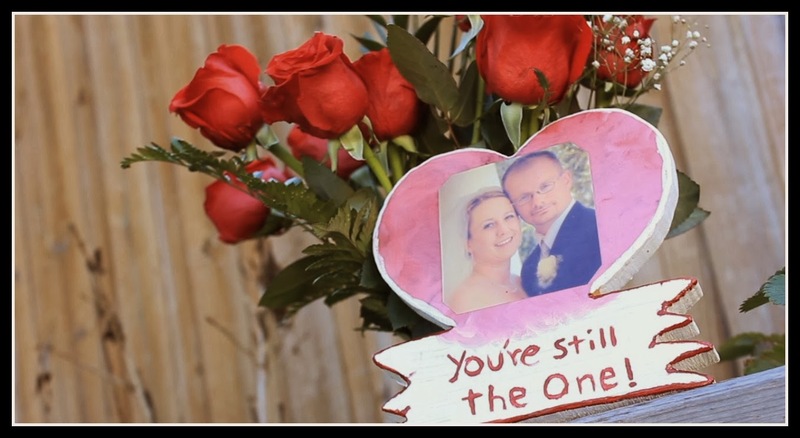 Last year for valentine’s day my wife did something different. She painted me a picture. A tree. Its leaves were hearts. Different shapes, sizes, colors. Below the tree she wrote our names and the date of our wedding anniversary. Its a funny thing, I can't remember anything else I may have gotten, but I remember that. Today it is mounted inside a frame and hangs just to the right of the front door of our home. I don't find gift cards to be all that personal. Maybe, thats because I know how I pick them out. Usually it starts by flipping the card over and looking at the price. Perhaps I do not find them personal because I know what I do with them after I get them. I start by opening them up to see if money has been stuck inside. No? How about a gift card in the envelope? When all else fails I look to see if the person who sent it has written a personal note. Their are so many gift giving holidays that sometimes it is hard to put a lot of thought and meaning behind all of them. Valentines day is often one of those holidays for me. Often I find myself standing in line with a bunch of half wilted flowers and a box of chocolates. Usually you can hear me mutter something about the price of a box of chocolates these days. $15. Someone is joking right? I don't even like half of them that are inside. This year I vowed to do something different. I am not going to give a step by step process in this post like I normally do. However, I do want to go into a little more detail about a few thing on this project. The first being spray adhesive. I know I know, it seems like a small thing, but you would be surprised at the number of questions I get on seemingly small things. Their are usually three different weights of spray adhesive. Lightweight, medium weight and heavy weight. The light weight version will give you the equivalent adhesion of a post it note. The heavy weight is more along the lines of contact cement. 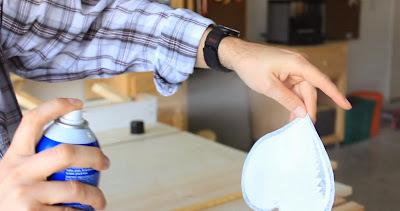 Get the wrong one and you will be sanding paper off of your workpiece instead of peeling it off. I use Loctite General Purpose Spray Adhesive . 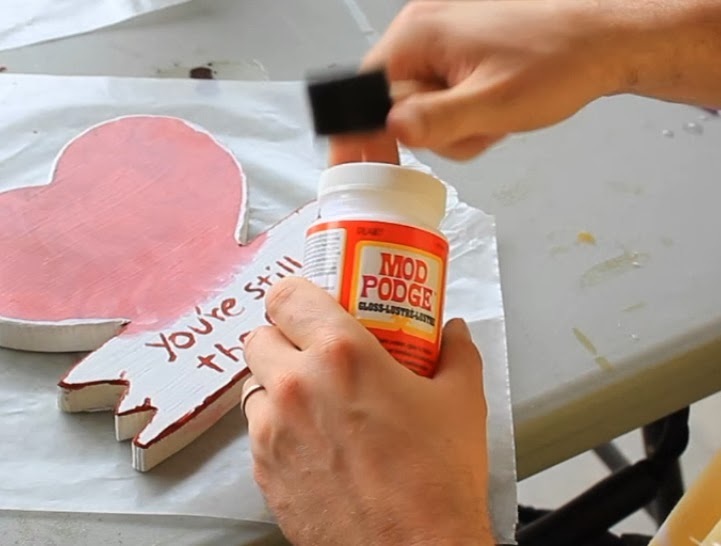 The second item that I used on this project that may be of some interest is Mod Podge. Mod Podge can be found at your local craft store or you can click here. I like Mod Podge for a project like this because it dries in about 15 minutes. It goes on opaque so you can see where you have put it but it dries clear. You can get it in a variety of finishes and I'm starting to sound like a commercial so I will stop. I will say that I really like it for craft type projects like this because it is non toxic and the kids can help apply it. Comments are held for moderation before they are published. If you would like to be notified of responses please check the "notify me" box. Get Email Updates - No Spam Ever! Woodworking and general DIY projects can be a very satisfying endeavor. Working with wood, whether using power or hand tools or even woodworking supplies, it is up to you to learn and accept proven and proper techniques. I am not responsible for any damages of any kind that may result in your using any product or information mentioned within this blog. It is up to you to research any operating instructions for your tools and operate them safely, even if it means seeking qualified people in demonstrating their safe operation to you. Keep in mind that whenever you are in your shop make sure safety is most important to your well being. Remember, enjoy your woodworking and general DIY projects but it’s up to you to use your tools safely. External links are selected and reviewed when the page is published. However, we are not responsible for the content of external websites. This is because we do not produce, maintain, update or change them. They can be changed without our knowledge or agreement. Some of our external links may be to websites which also offer commercial services, such as online purchases. Simply Easy DIY is a participant in the Amazon Services LLC Associates Program, an affiliate advertising program designed to provide a means for sites to earn advertising fees by advertising and linking to Amazon.com. The inclusion of a link to an external website from simply easy diy.com should not be understood to be an endorsement of that website, the site's owners or their products and/or services.